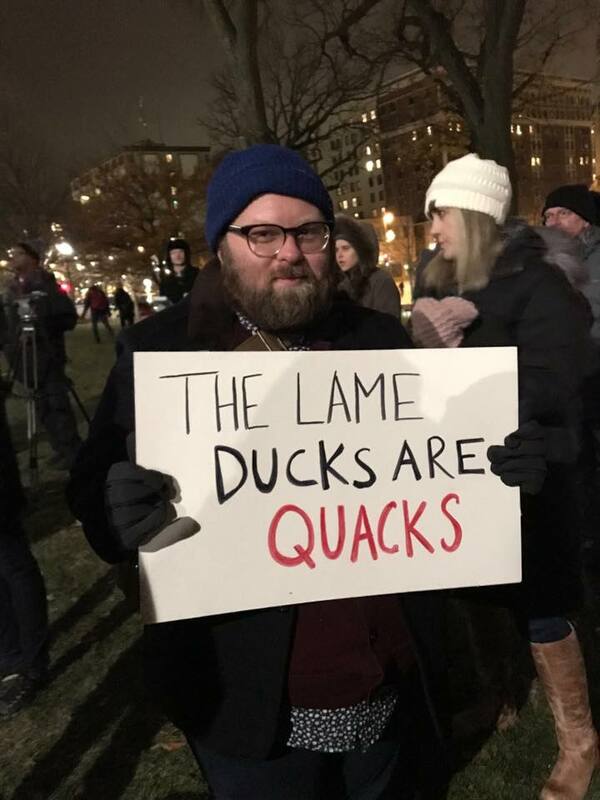 Angered by Wisconsin’s new lame-duck laws? On December 3 2018, TAA members protested at the Capitol and attended twilight hearings shortly before the legislation passed in December. But the fight isn’t over yet! The Political Education Committee is working with our sister faculty union, United Faculty and Academic Staff (UFAS) and other Madison labor groups to target key state officials and demand implementation of Evers’ pro-education and pro-labor agenda. Contact PEC to learn more and get involved.